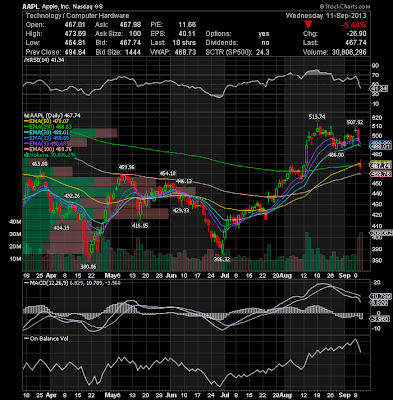 Apple Inc. (NASDAQ:AAPL) breached and closed below its key support zone along with strong volumes. 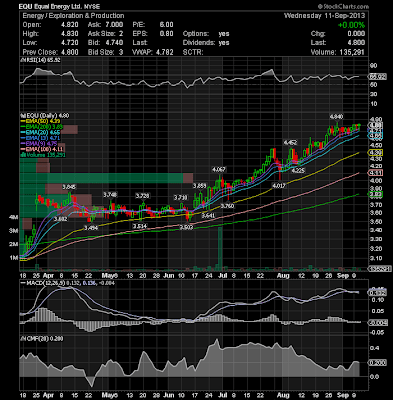 With this recent fall, the daily relative strength index (RSI) of the stock has re-entered into the bearish zone. The stock is now also trading below its major moving averages. If the stock breaches 460 on a close basis, then it might decline to $440. 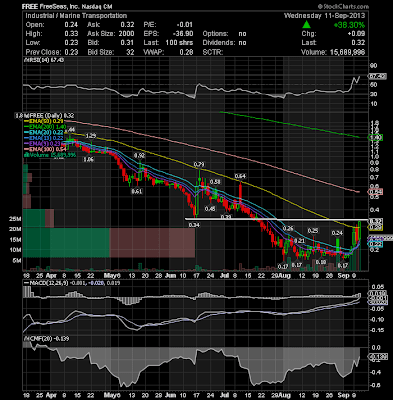 Very bullish action on FreeSeas Inc.(NASDAQ:FREE) this week. 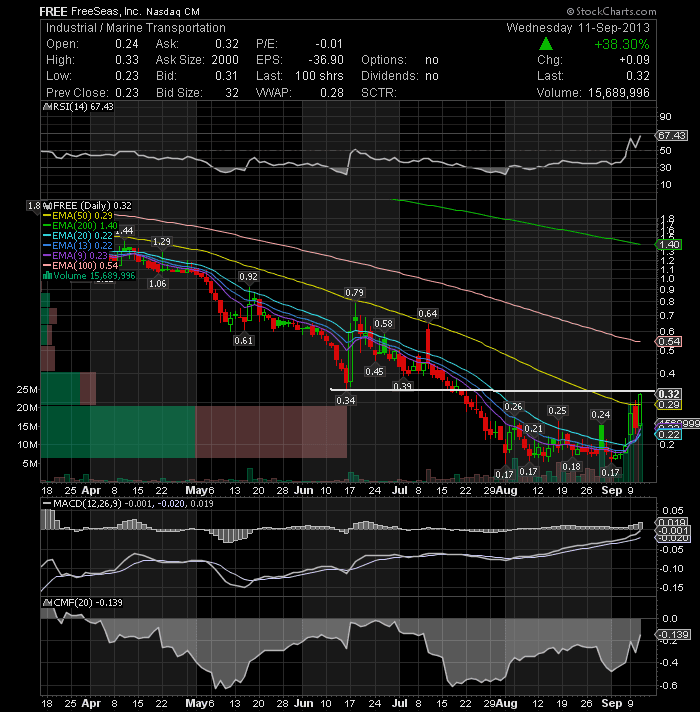 The stock firmed around 0.18-0.2 and then broke out with two days of high volume. 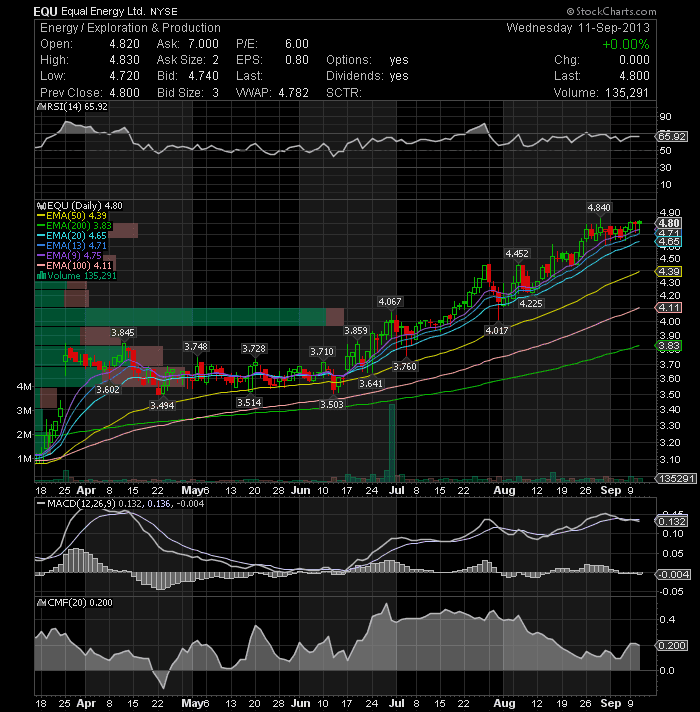 Further strength above 34 cents opens the door to 40 cents. Put her on your radar. 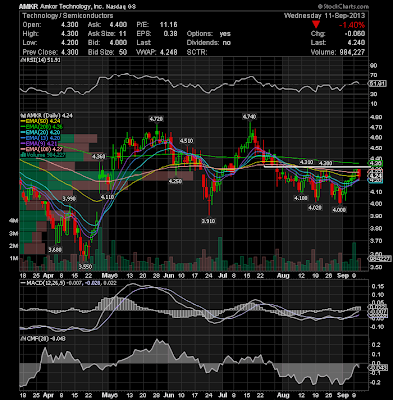 Amkor Technology, Inc. (NASDAQ:AMKR) has had a hard time with this resistance line, but may be ready to move higher. 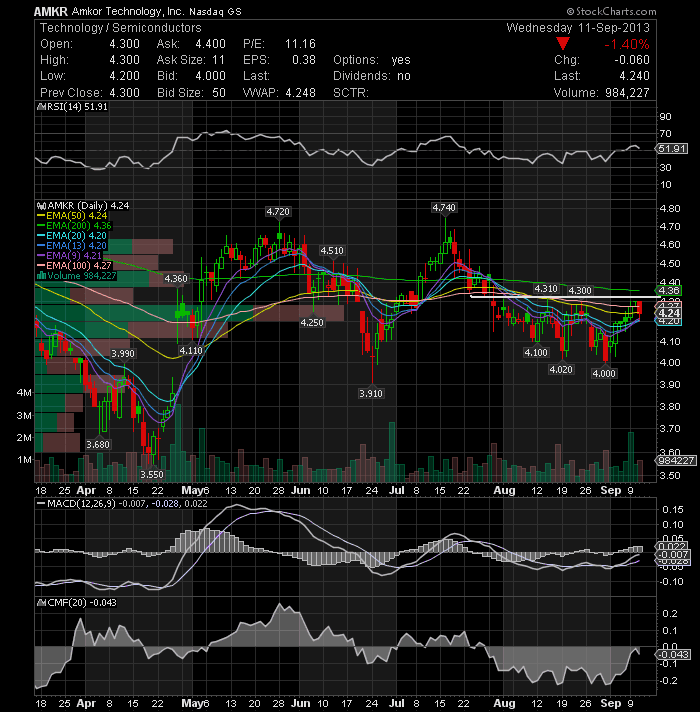 The level which the stock may have trouble moving above is today at $4.31. 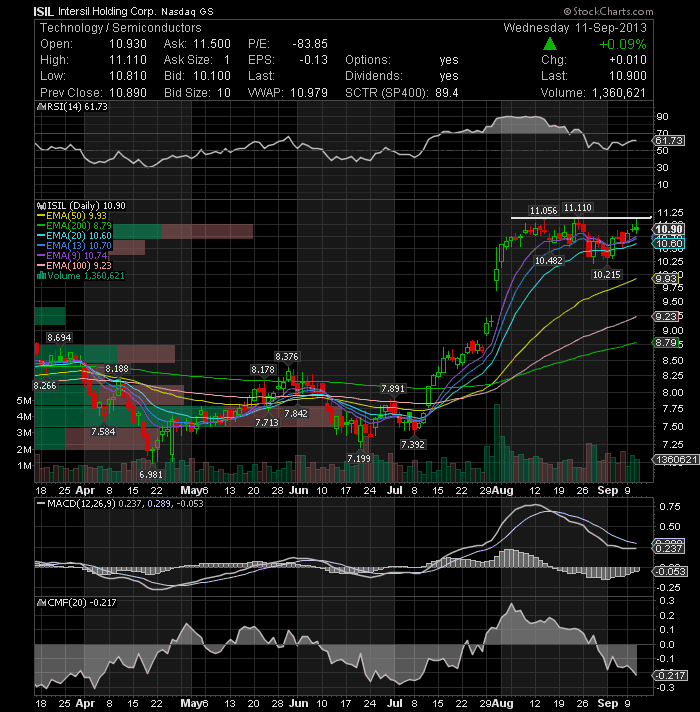 It would need to break above that level to run to $4.5. Shares of Himax Technologies, Inc. (NASDAQ:HIMX) continue to surge, hitting a new 52 week high of $9.36 on Wednesday. I think the stock should sustain the current trade activity in a potentially upside move. 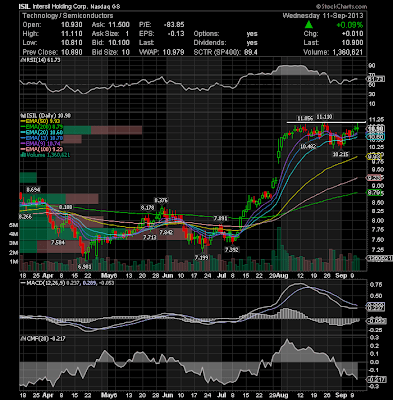 Intersil Corp (NASDAQ:ISIL) is still trading around $11 which has been a strong resistance over the past several weeks. 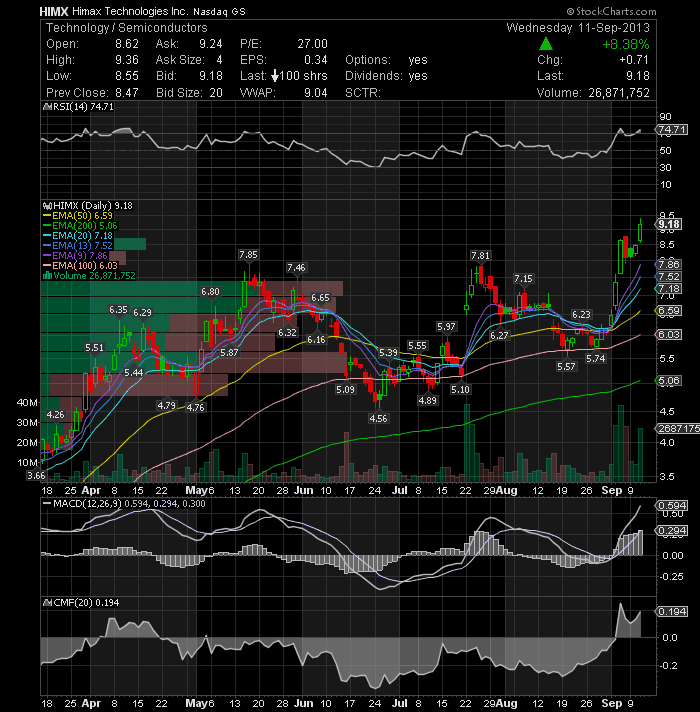 I now plan to buy the stock if it can break Wednesday's high of $11.11. The trend is still up.